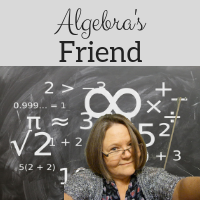 Algebra's Friend: What makes us different? Generally I don't write anything about politics. But my heart is broken for the deaths of our children. It is time those of us who have been silent to speak out! The Chicago Tribune reported today, data that was collected by the Academy for Critical Incident Analysis. They charted incidents that had two or more victims. They write, "Between 2000 and 2010, the recorded 57 incidents in 36 countries. Half of those incidents — 28 — occurred in the United States." In our schools we have had as much violence as in all of the schools in these places combined: Argentina, Australia, Azerbaijan, Belgium, Bosnia-Herzegovina, Brazil, Bulgaria, Canada, China, Denmark, England, Finland, France, German, Greece, Guatemala, Hungary, India, Israel, Italy, Japan, Kenya, Latvia, Netherlands, Northern Ireland, Norway, Poland, Russian Federation, Scotland, South Africa, South Korea, Swaziland, Thailand, Trinidad and Tobago, and Yemen ... combined! We have a tenth of the population of those countries combined! What makes us different from these countries? Do we really have more evil, more wickedness, more mental health issues, less parental involvement than all of these countries? I think not. CNN reports "regulations covering the sale of firearms are looser now that they were a year ago." Why is this? Why is it legal to buys guns under the age of 21 or 25 or 32? Why don't we have a universal waiting period of 28 days? Why aren't thorough background checks required for all sales of all weapons? Why are semi automatic assault rifles and large capacity magazines for sale to the public? Other countries who have experienced mass shootings took action! I fear I live in a country that values gun ownership over the lives of children. Will you join me in educating ourselves and others, contacting legislators, and speaking out?